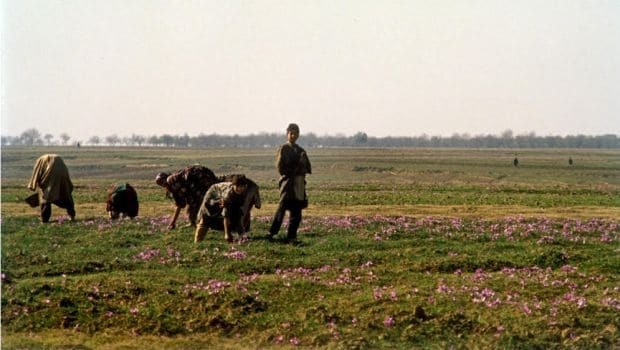 The first time I ever saw a saffron field, was in the autumn of 1987. It was a moonlit night and I was being driven back to Srinagar from Pahalgam. I had finished the last of my slide film in Pahalgam, and I sat back in the ageing Ambassador, smug that I had done a good day’s work. Little did I guess that the sight that was to unfold 70 kilometres away would leave me stupefied with amazement. There was an unending carpet of pale mauve flowers, every detail etched sharply in the moonlight. But the miracle was that the carpet stretched on as far as the eye could stretch: uphill, down dale, tumbling over hillsides and contours of the plateau for which Pampore was so famous. Those days, there were no cell phones and certainly no smartphones, so the best I could do was to store the image in my mind’s eye, where it remains firmly lodged to this day. Saffron is a spice as well as a colour. 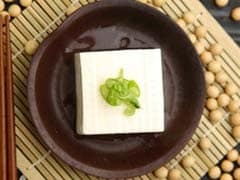 It also is a near magical substance, being the stuff of myths of several countries. There is one plausible reason for it: saffron has been known for at least 3,000 years (and perhaps much longer), but saffron does not reproduce on its own – unlike most other plants, it needs human intervention to be grown. Given that saffron was probably first grown in what is now Iraq, it means that humans have ensured that it has spread to Abruzzo in Italy, La Mancha in Spain, Pampore in Kashmir and, most importantly, a wide swathe around the city of Mashad in Iran. Today, while the giant’s share of the world’s saffron crop comes from Iran, one-tenth originates in Kashmir and the rest come from Greece, Italy, and even Afghanistan as a United Nations measure to help impoverished farmers with a viable alternative to poppy cultivation. Tiny boutique crops also come from New Zealand, Argentina and, believe it or not, Switzerland, where gentlemen farmers want the cachet of calling themselves saffron growers, but don’t have the manpower to spend back-breaking hours at dawn, during the plucking season, bending six inches from the ground to pick flowers. It is the reason why Spain’s famed La Mancha crop of saffron has been dwindling year after year: European Union minimum wages price Spanish saffron right out of the market. What Makes Saffron So Precious? While onlookers and sightseers can feast their eyes and senses on the sight of pheran-clad ladies bending over double to pluck delicate mauve blossoms and pile them into baskets called krinjoles, it is very hard work indeed. For at least six hours a day, starting from dawn, you have to pluck mature flowers. 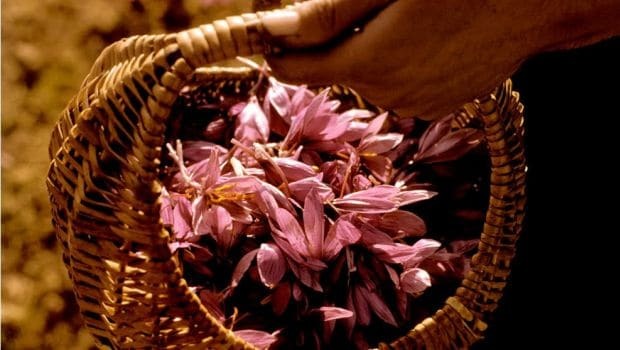 One pound (454 grams) of dried saffron requires 75,000 flowers, so it is the norm in Pampore that every member of the family pitches in during the plucking season. Each flower, and maddeningly, they grow low, just six inches off the ground, has three maroon stigmas growing from one pistil, and three worthless golden stamens. The exquisite petals and the stamens have no value at all; it is just the stigmas that are the precious spice! 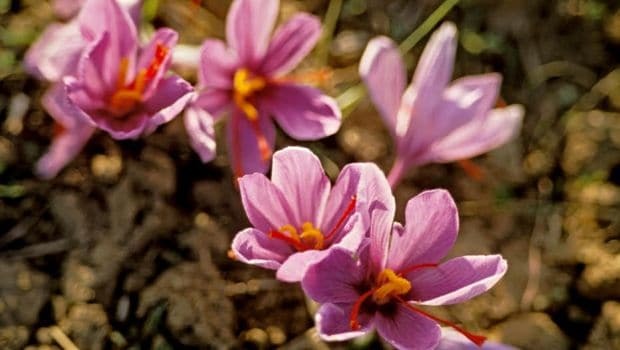 In Iran, ten times more saffron is grown than in Kashmir, but in the region of Torbat e Heydarieh, around the city of Mashad, saffron is grown in tandem with other crops. By the time you have driven past a field, you realise that the flash of mauve was saffron! In Pampore, on the other hand, the only crop is saffron. There are two factors common to both regions: similar soil and weather conditions, and the availability of inexpensive labour. Well drained soil that does not accumulate moisture, very precise rainfall at exactly the time when the corms are coming to life under the soil, no precipitation once the flowers have bloomed and cold winters are the conditions for saffron. Because it is such painstaking work to obtain one kilo of saffron, the trade is usually rife with substances that closely resemble the real thing. It is only a fair degree of expertise that can distinguish between the two. 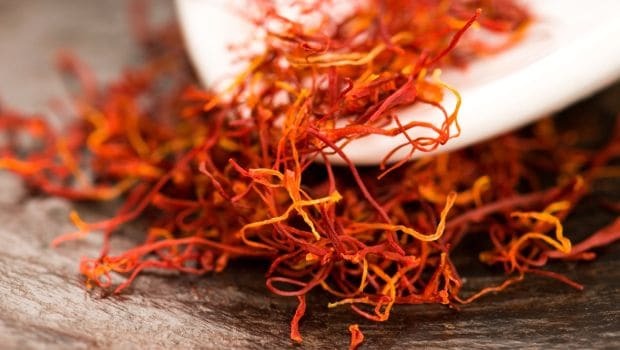 Sanjay Raina, a caterer of fine Kashmiri food, points out that while real saffron must have a sweet smell, it must never actually taste sweet. Drop a few strands in water, and while both the real and the fake will leach their colour into the water, the real saffron will remain crimson, while the pretender will turn white. Harpreet Singh Chhabra of Baby Saffron, one of the most reliable brands in the world, cautions against buying a few strands in a plastic box without a brand name, address or telephone number from a person you don’t know. His logic is that when the seller is an identifiable entity, it becomes less easy to indulge in malpractices. Chhabra, of course, can tell good quality saffron from poor quality; real saffron from fake and this year’s crop from old saffron that is past its sell-by date. Apparently, it is not uncommon to mix fake and real saffron together. It is also not unheard of to keep saffron strands more moist than they should be, because water makes them heavy! All through the millennia, saffron has been used in cookery in conjunction with three ingredients, chiefly: milk, fish and rice. 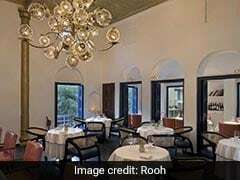 Thus, Risotto Milanese just has to be tinted golden; Bouillabaisse, the Marseillaise fish soup has to have saffron too; and many of the best mithais in India are lightly flavored with kesar, and even when they don’t they are topped with a strand or two of something resembling saffron. Just for association! Sharp shooting practices apart, you only have to place one single strand on your tongue for the slow aroma and flavor of the world’s most precious spice to develop slowly on your palate to know just how unique and subtle the cachet of saffron really is.